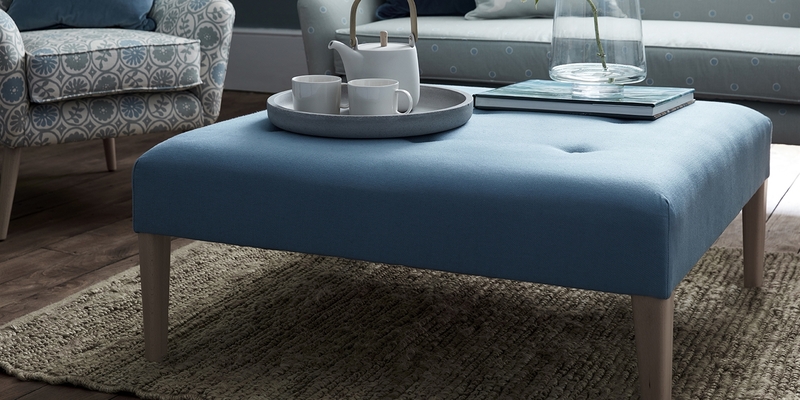 A simple, contemporary footstool with clean elegant lines. The Daneway is perfect as a centerpiece for your room due to it's square shape and can double up as a table thanks to it's generous size. It can be made with a shallow buttoned or plain top and comes with modern square tapered legs.